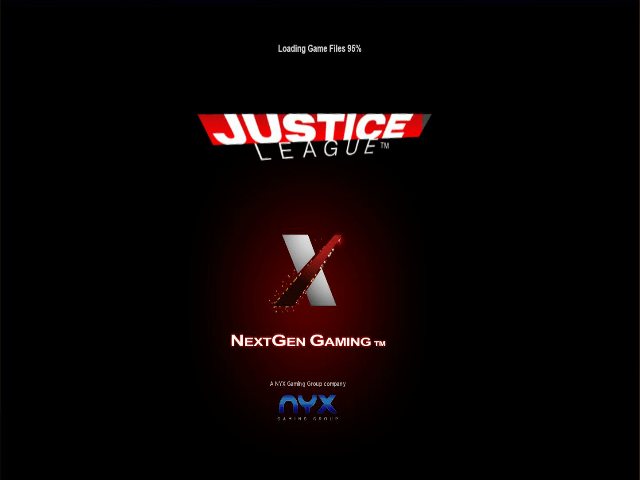 If you’re a fan of comic books and superheroes you’ll love this video slot from NextGen Gaming starring seven DC Comics characters. You don’t need superpowers to get your hands on free spins and big prizes in this game; let Superman, Batman and co do the work as they battle to save the world, and your balance! 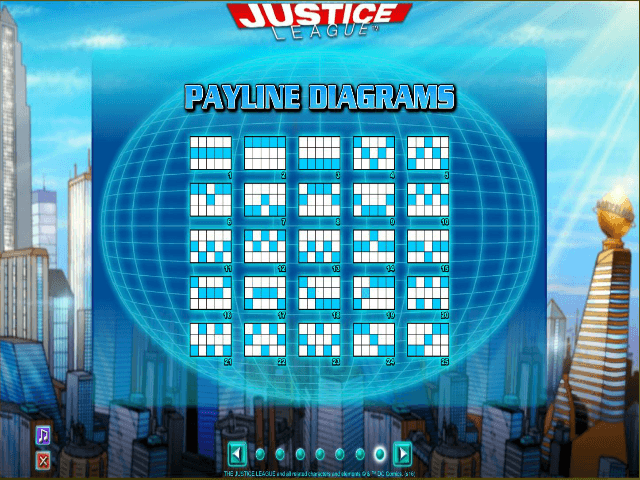 Our slot review has all the information you need about how to play Justice League and the bonus features on offer. 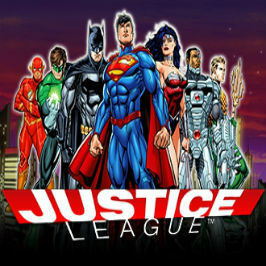 The Justice League online slot is the first DC Comics title released by NextGen Gaming and it’s certainly impressive. The reels are laid out in the style of a comic book and an epic theme tune plays in the background as the action unfurls. This game has the conventional layout of five reels and 25 paylines. The number of paylines and coins is fixed so all you have to do is choose your bet. The minimum bet per spin is 30p and maximum is £75. It’s superheroes galore on the reels with seven crusaders making up the main symbols: Superman, Batman, Green Lantern, The Flash, Wonder Woman, Aquaman and Cyborg. Superman is the highest-value avatar rewarding you with 300 times your stake if you get five of the Man of Steel on a payline. When it comes to bonus features, the Justice League slot machine doesn’t disappoint. There’s the Team Rescue feature in the base game where a symbol can randomly turn wild on reels two, three and four. There’s also Super Hero Power-Up, which is activated when the same character takes up the whole of the first reel and at least one of these icons appears in a payline. The fifth reel will then replicate reel one and all superhero and wild symbols are locked in place. The remaining reels re-spin and keep spinning until no superheroes or wilds stop appearing, so there’s the opportunity to generate some turbo-charged wins during this feature. 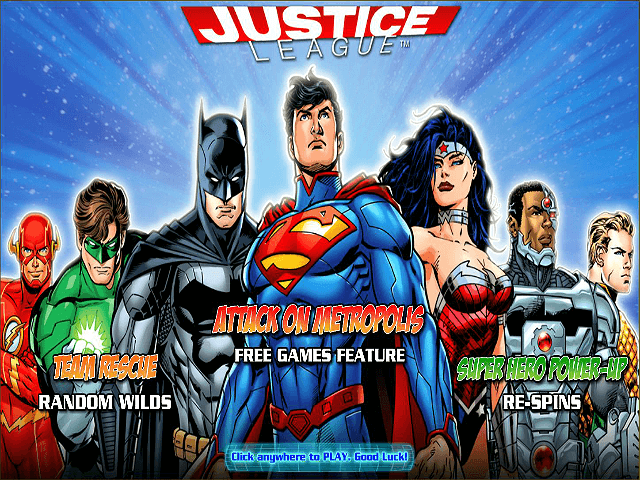 Last but not least, there’s a free spins round with the dramatic title Attack on Metropolis. This is triggered by landing three of the Daily Planet emblems (that’s the newspaper where Superman’s alter ego Clark Kent works, in case you didn’t know). You’ll receive ten free spins but up to three extra spins can be randomly awarded after each non-winning attempt. The Attack on Metropolis feature also benefits from added random wilds, and collecting these will help to charge the meter and give you more spins for the Super Hero Spins bonus. This takes place after the free spins have finished and sees reels one and five filled with the same character in all positions. All wins involving a wild symbol are subject to a random multiplier up to ten-times, and again you can pick up even more free spins along the way. 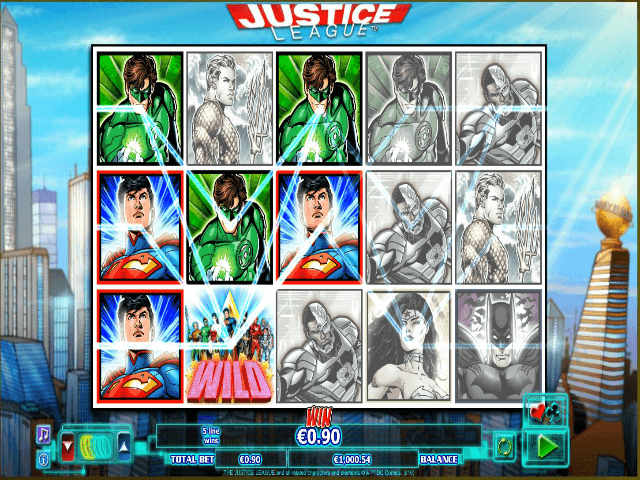 As you’d expect from a game involving seven superheroes, there’s plenty of action going on in the Justice League slot. Comic book enthusiasts will particularly like this slot with loads of wilds and free spins on offer. Even if you’re not a fan of the superpower crew, give it a go and you’ll soon be shouting “Kapow!” with the rest of them. If you like Justice League - You'll like these slots too!